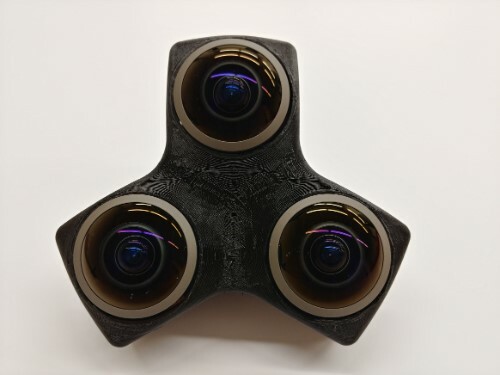 Suometry OmniPolar Camera is a new 3D 360 camera with an innovative configuration of 3 hemispherical lenses, and features in-camera stitching and realtime depth mapping capability. Here are details and a sample video. Suometry claims that with the unique configuration of the OmniPolar, their camera is capable of realtime in-camera stitching as well as realtime depth mapping capability. “This configuration of cameras reduces the non-deterministic three-dimensional stitching problem of 3D 360° video, to a two-dimensional geometrical problem.” I’m not a computer engineer but my layman’s translation is that they’re saying a more common 6-lens radial arrangement such as with the Insta360 Pro 2 can be stitched in many possible ways, which makes it harder to stitch. (Indeed, stitching 3D 360 is computationally intensive.) On the other hand, with their 3-lens configuration, stitching is a matter of de-fishing the videos, which is much simpler, more straightforward and mechanical process, and that a single stitching template works in all situations. The product video shows what appears to be a demo of their realtime depth mapping. However, the video shows the subject above the lenses, where the lenses have maximum stereo information. 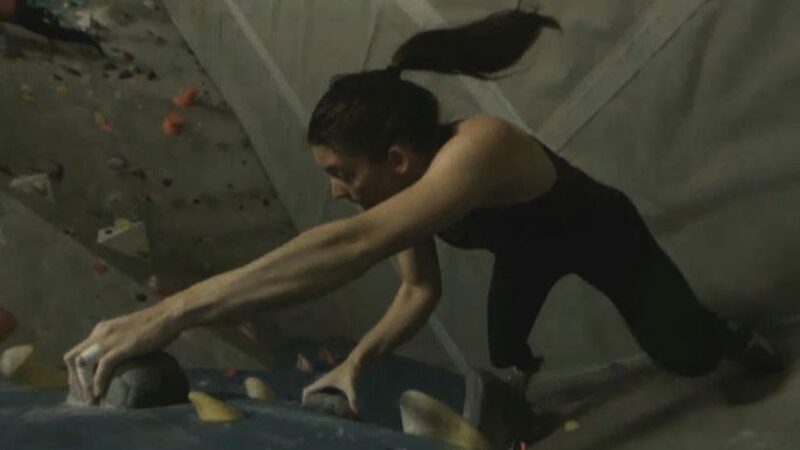 It will be interesting to see how well their depth mapping works if the subject is along the periphery of the lenses, which is where the subjects would usually be, if the camera were used as a 360 camera facing up. I’m also curious if the stereo effect is lost if the subject is directly in front of one camera (farthest from the other 2 cameras). The video is available for download here. The raw video is available here. I think the OmniPolar is an interesting camera, but ultimately, it provides only a hemispherical view. Although it is marketed as a 360 camera, it is more similar to VR180, which can also be stitched/de-fished quickly (for example, Lenovo Mirage doesn’t require stitching). The question is therefore whether OmniPolar’s 3-lens configuration has any practical advantage over a standard side-by-side 2-lens VR180 configuration. I am supposing it makes the video more usable as a 360 camera (pointed up or down), or perhaps the 3rd lens makes depth mapping more accurate. I’m also wondering what if they added one more camera to form a tetrahedron? Would it become a fully spherical 3D 360 camera? I might drop by their booth at CES 2019. What do YOU think of the OmniPolar? Let me know in the comments! For more information, here is their official website. If you want to know more about VR180, please join the VR180 group on Facebook. And if you’d like to get email updates of 360 camera news, reviews, and tutorials, you can subscribe for free here. Is it just me or the sample clip provided for download has the left-right eye images swapped compared to YouTube video. Beside of that pretty intriguing approach. They would still need 6 lenses to have full 360 view but with some custom video format they could even have a valid 3D effect in the nadir/zenit. This is very interesting but I cannot watch it on my Gear VR. I have tried with Oculus Gallery, Samsung VR, none of the worked. I tried all the different configurations: 360 3D TB, 360 3D SBS, it didn’t work. Very disappointing. Due to the lack of standards governing the use of Right / Left images in certain players and formats, we decided to simply rely on YouTube for formatting. If you’re interested in seeing our clips without compression (or with very little compression), I’d recommend the use of a PC, and contact us directly for instructions on appropriate players and headsets. Unfortunately, a Gear VR is not designed to handle big, uncompressed videos.